Christopher Fox is a licensed North Carolina General Contractor with 20 years construction experience in Western NC. 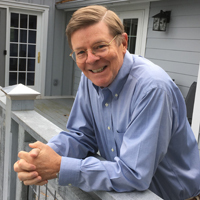 His hands-on project management grew from his early experiences as a carpenter during college summers on full-scale framing and log home construction. Along the way he managed the construction of custom homes at Biltmore Lake, Cedar Rock and The Ramble for Biltmore Farms. For three years, he was recognized as Asheville’s exclusive designee in the Southern Living® Custom Builder Program. 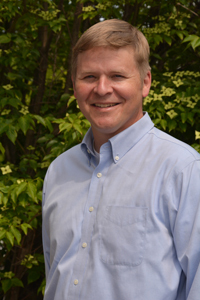 Christopher serves as a Director for the Better Business Bureau of Asheville and Western North Carolina and as Director of the Asheville Home Builders Association (AHBA). He is past President of the AHBA and current First Vice Chair of the Better Business Bureau. Christopher is active in Habitat for Humanity and the Rainbow Community School. Christopher Fox Builders is committed to the highest level of service to his clients. Christopher was among the first Asheville contractors to be CAPS certified by The National Association of Home Builders. CAPS (Certified Aging-In-Place Specialist www.aginginplace.com) is a competitive designation awarded by NAHB to contractors, architects, and healthcare professionals using the techniques and best practices for in-home design and modification allowing aging seniors to live in their own homes for as long as possible. Christopher earned a BA from Prescott College, and he has been a kayak and pottery instructor. One of his principal outside interests is restoring classic Chris Craft motor boats. Christopher has also kayaked every major whitewater river in the U.S., and he is a skilled earthenware potter. 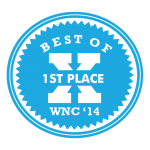 Christopher Fox Builders was voted #1 General Contractor in Western North Carolina.